Admire colouring of autumn leaves! Many Japanese go and enojy Momiji-gari in October and November. Momiji-gari is to go a mountain or shrine or temple and to admire colouring of autumn leaves. Momiji means red leaves, gari(kari) means hunting in Japanese. Gari is often used to hunting animal or picking fruits, but it is used to admire nature sometimes. The best season for viewing autumn-leaf differ by the district. Hokkaido region is fastest, Okinawa region is slowest in Japan. Kyoto which is famous as one of the view spots of autumn-leaf is at best season for it in November. On the other hand, Nikko and Karuizawa is at best season in the middle of October. Autumn-leaf keeps best only for one week though most beautiful time of it differs depending on species and wheather. 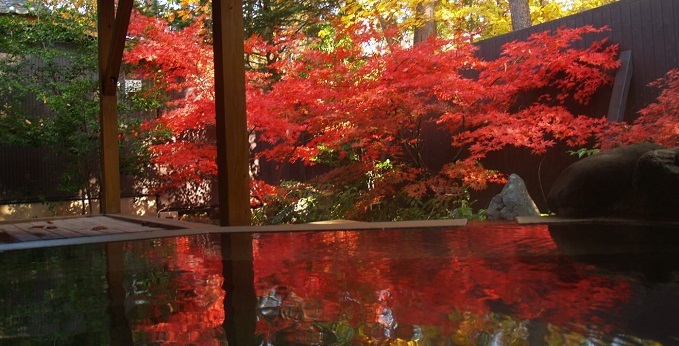 There are many famous spots for colouring of autumn leaves in Japan. Three major spots are Nikko in Tochigi region, Yabakei in Oita region, and Arashiyama in Kyoto region. Nikko is also famous for Nikko Tosho-gu which is a shinto shrine certified UNESCO World Heritage Site. Yabakei is also famous as one of the new three views of Japan. Blue tunnel of it is about 472feet and made by Buddhist monk Zenkai in 1763. Arashiyama is also known as a spot for cherry-blossoms, and has many famous temples. Buddhism temple Tenryu-ji which is registered as UNESCO World Heritage Site is one of the famous spots for colouring of autumn leaves in Kyoto. Its graden was made in the shakkei style. 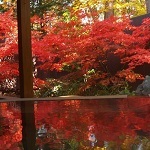 Shakkei style is to make use of surrounding landscape in the design of a garden. Its features changes with the seasons and has beauty including autumn leaves of mountains in autumn. There are many ways to enjoy colouring of autumn leaves except climbing a mountain. One of the them is to do by pleasure boat in Hakone city. Passengers on this boat see not only autumn leaves but also Mt. Fuji depending on the weather. Some pepole see them with playing golf because autumn is best season for golf. The other ways are on a hot spring, by train, by car and more. By the way, Momiji-gari is also famous as one of the Noh play which is classical Japanese musical drama. Taira no Koremochi who is a brave general of Heian period(794-1185) slayed the ogre in this Noh play. The highlight of this Noh play is a dance of traditional beautiful women on autumn color stage and Koremochi's fight scene. If you travel Japan in autumn, you can enjoy Momiji-gari and can experience Japanese culture through it.